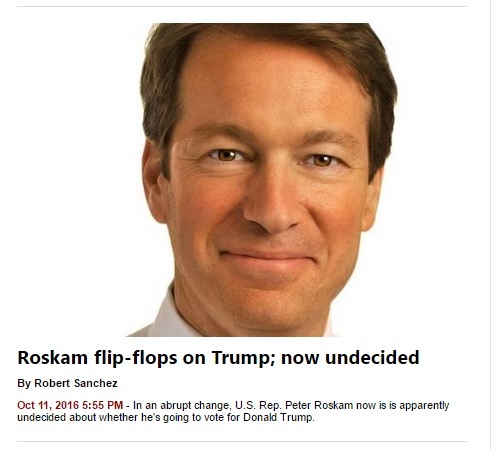 Is Peter Roskam a Flip-Flopper? Just hours after saying U.S. Rep. Peter Roskam was planning to vote for Donald Trump, spokesman David Pasch on Tuesday rescinded the remark. The same story now has a headline with the word Flip-Flop omitted. Did the Roskam campaign use its influence to get the F-Word removed from this Daily Herald headline?